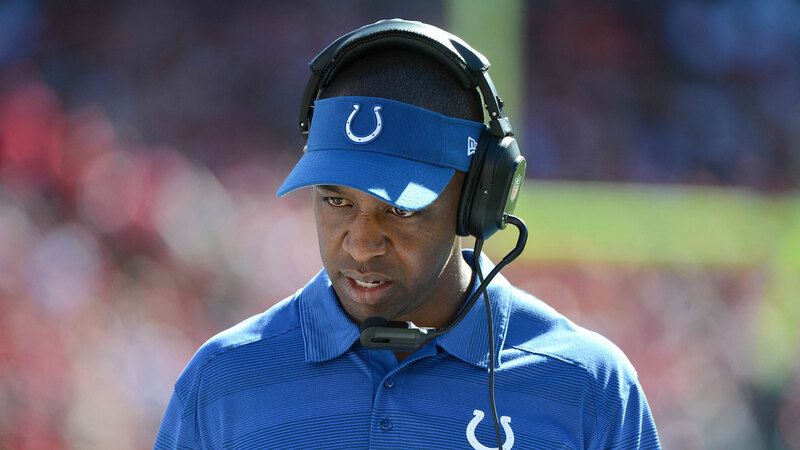 An offseason influx of talent has given Indianapolis Colts offensive coordinator Pep Hamilton even more to work with in 2015. The Colts, who already had a high-powered offense to begin with led by quarterback Andrew Luck and wide receiver T.Y. Hilton, added a series of newcomers that figure to make a big impact as the team makes a run at the Super Bowl. All that’s left is for Hamilton to figure out how to make it all work. Thus far, Hamilton has said all the new Colts, led by wide receiver Andre Johnson and Frank Gore are fitting in nicely. Johnson came to Indianapolis after 12 standout seasons with the Houston Texans. Gore, who joined the Colts after 10 seasons with the 49ers, has impressed with his passion for the game. A pair of young wide receivers have made a positive impression as well. CFL import Duron Carter has drawn praise early in camp. “Every day he makes a play out here that makes you say, ‘Wow,’” Hamilton said. The same goes for first-round pick Phillip Dorsett. "You have to really focus on him to see him, because he’s running so fast it’s hard to keep up with," Hamilton said. While it’s still early, it looks like 2015 is shaping up to be an enjoyable year for Hamilton and the Colts offense and maybe not so much for opposing teams trying to defend them.